You are here: Home / Environment / Do You know the Mystery behind Countless Dead Fish on Long Island? 1 Countless Dead Fish on Long Island- What is it all about? 1.0.2 Can we expect more incidents similar to dead fish? 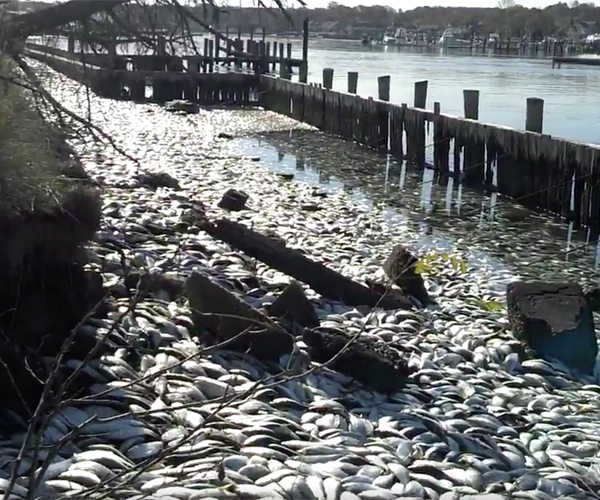 Countless Dead Fish on Long Island- What is it all about? Fishes are probably one of the most gentler species on earth which not only adorns the underwater world but are also known to have kept the ecosystem balanced; forming an integral part of it, without which we are likely to get trapped in serious issues. Fishes might have greater roles to play in the ecosystem but is also one of the most overlooked and taken for granted species, for which nobody bats an eyelid unless the fish is missing from the plates, and of course when thousands of them are found dead one fine day. 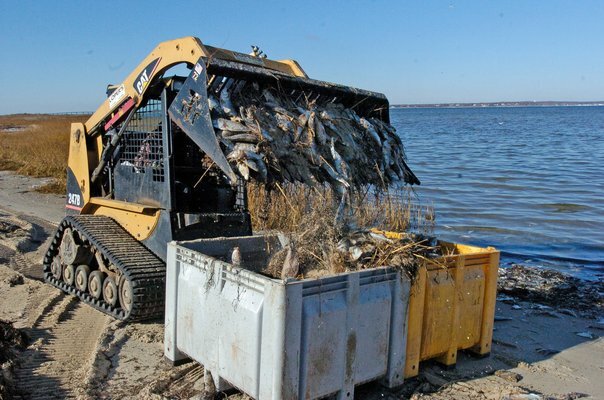 Something similar has shocked the entire Shinnecock Islands and also other countries beyond it when a countless number of dead fish or Menhaden fish was found at the waterways of the Shinnecock Canal at South Fork of the Long Island at the Hampton Bays. And though such sudden demise of fishes is part of the natural phenomenon, the sad and shocking incident still stands for reason amidst many investigators and scientists, who are the actual reason that led to ‘fishpoclypse’. That fishes often die over frequent time intervals in water bodies due to lack of oxygen is well known and is considered normal, but in this ghastly event, scientists and other investigators are of the opine and view that a mammoth predator might have been the sole culprit in leading to such a dreadful incident. When approached for the general take on the event, the local residents seemed quite firm on their belief of the Bunker fishes being chased down by a giant like a predator; Striped bass or Bluefish for instance, through the inlets of Shinnecock, up to the Bay of Shinnecock, where they got trapped in huge numbers due to the shutting down of the gates for the evening. The Local Officials are yet to dole out their set of official statements on the dead fish real incident, but the possible explanation already held out by the local residents have already had many believers and seems the most legit of all reasons to most, though the investigators and scientists are still on with their discoveries and logic behind of it. ALSO READ: WE MAY NOT SEE THESE ANIMALS ANYMORE? The Manager of Southhampton Marine Science Center had further claimed and talked about a big school of Bluefish in the bay earlier on Sunday to CBB News. He further stated and confirmed that Bluefish tends to eat Bunker fish, and they are always in this tendency to chase the bunker fish alike this to the canal, and just when they falter in escaping, they get pushed in and therefore run short of oxygen. With an interview with the Southampton Press, Stony Brooke University’s School of Marine and Atmospheric Scinces’Chris Cobler confirmed the canal is a confined area, whose water simply stops moving when the gates are shut down. He goes on to say that even without the fish, the oxygen levels tend to drop and the water is absolutely still. The whole thing might not be a conspiracy to kill the fishes, but then it is quite likely that with fishes moving in there, the oxygen level is sure to come down. Can we expect more incidents similar to dead fish? 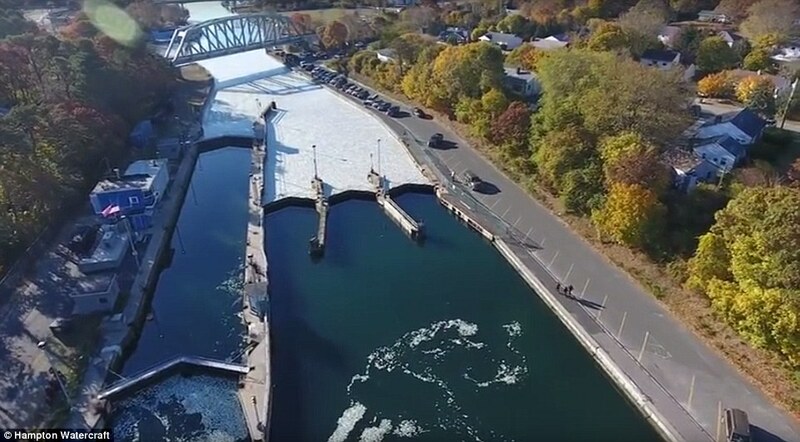 Upon viewing this insanely harrowing event, the local authorities and officials were quick enough to open the canal gates, so as to allow in oxygen, with an aim to save few of the living Bunker fishes amidst the countless other dead ones. Ever since then, there was no more reports or news of fishes dying. With an attempt to get this gruesome incident figured out, the State Department of Environmental Conservation has turned to water testing, in order to check the pollution level and pathogen which in turn can be other grim factors behind this awful event. The couple of fishermen named Mike Caruso and Jamie Hamul talked about their terrible experience of loading almost 2,500 dead fishes at a time within a span of 15 minutes, not only were they taken aback by this terrible incident but even claimed of not facing such grievous thing before in their entire lifetime. The earlier dead fish incidents across the Shinnecock Island were all results of natural issues such as algae blooms, but this particular frightful event has shaken the entire country and beyond, to an extent that it now raises anxieties revolving the possibilities. ALSO READ: ARE DOLPHINS SMARTER THAN US?